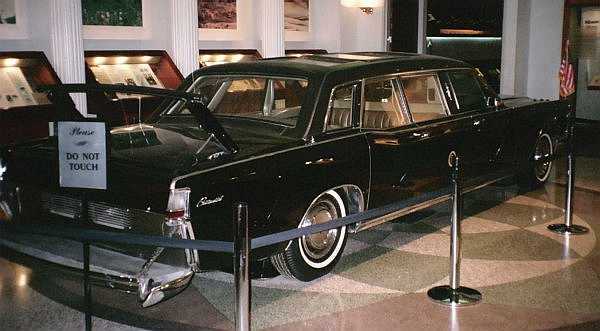 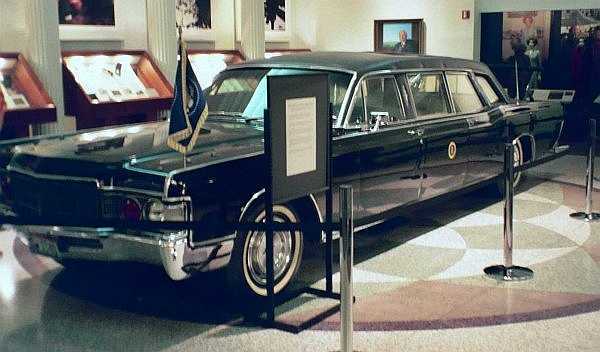 Nixon Limousine on display at the Nixon Library in Yorba Linda, California. 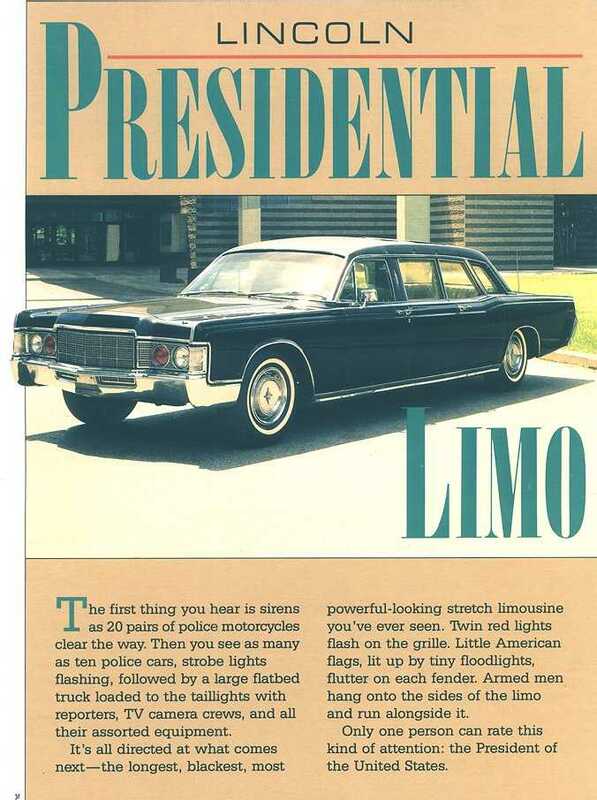 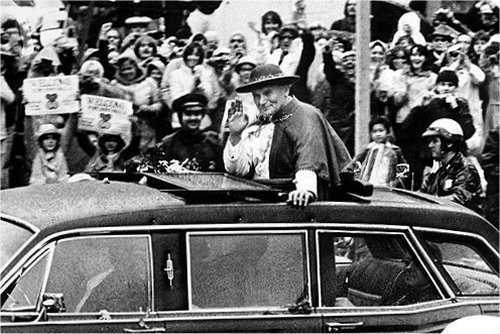 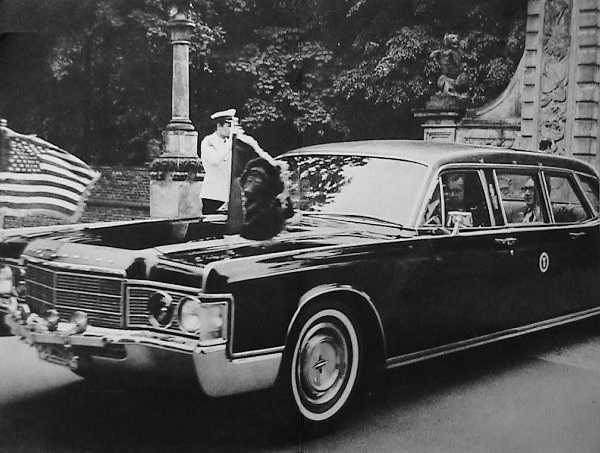 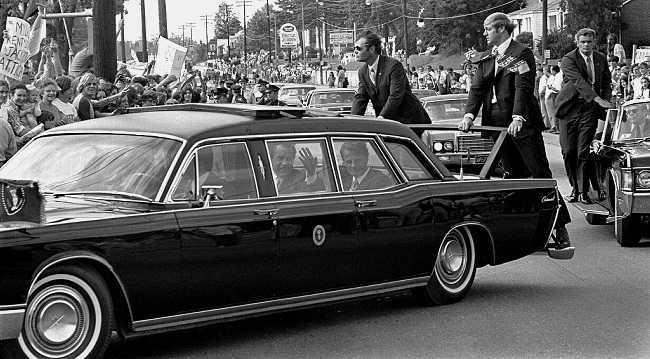 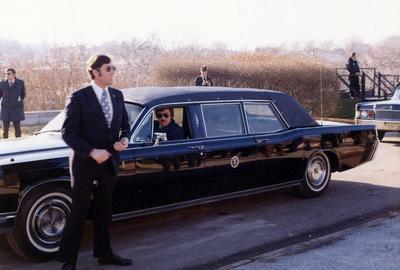 That's Peg Peterson checking out the limousine her father Robert Peterson built for President Nixon. 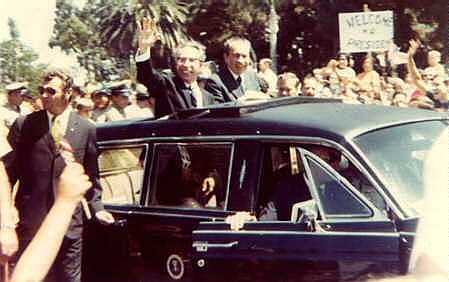 (AP) San Jose, California. 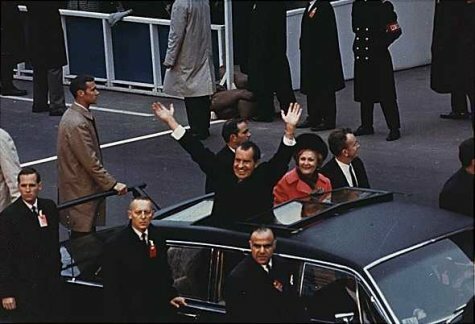 October 30, 1970. 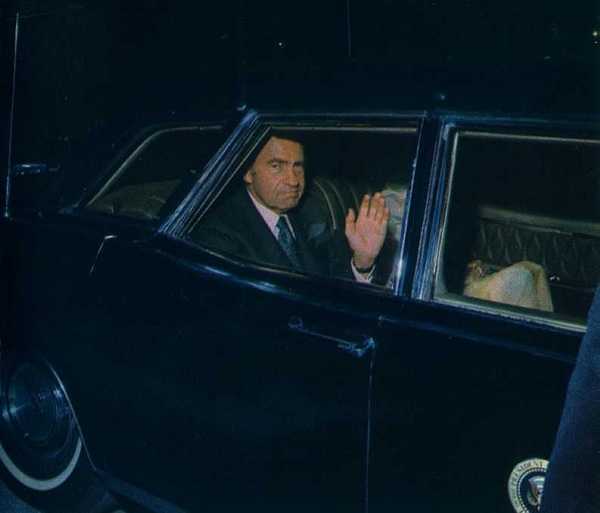 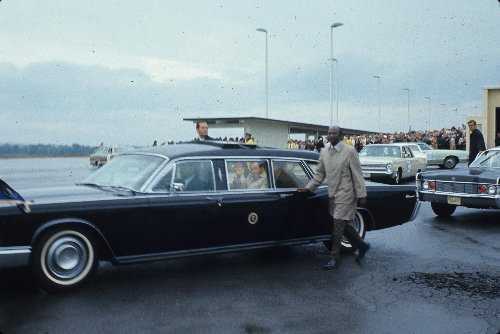 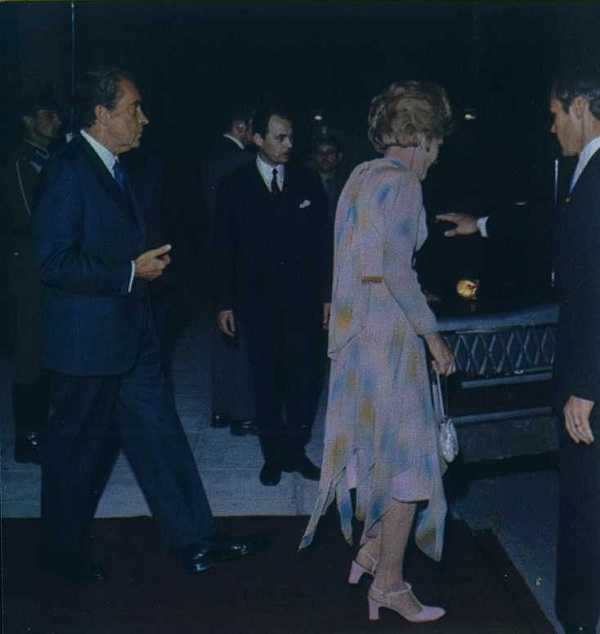 President Nixon inspects his limousine at the San Jose Airport Thursday night before leaving for the Western White House at San Clemente. 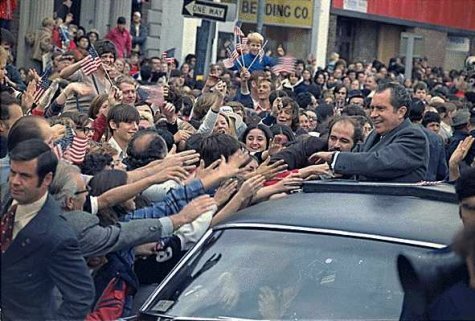 After the president emerged from a small auditorium in San Jose demonstrators had surrounded the parking lot where his motorcade awaited him. 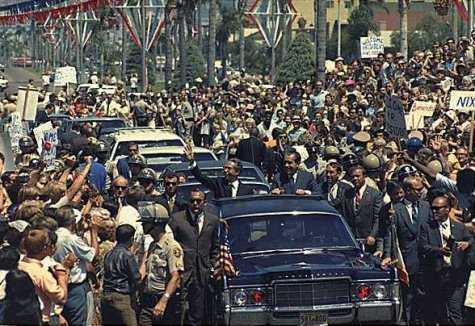 The president ran a gauntlet of rocks, eggs, bottles and other missiles to break though the massed demonstrators. 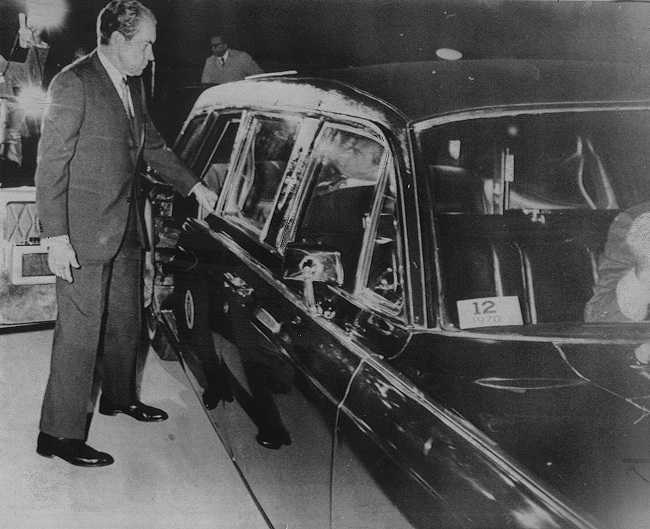 Later that night more trouble for Nixon, a small fire at his San Clemente residence forced him to evacuate. 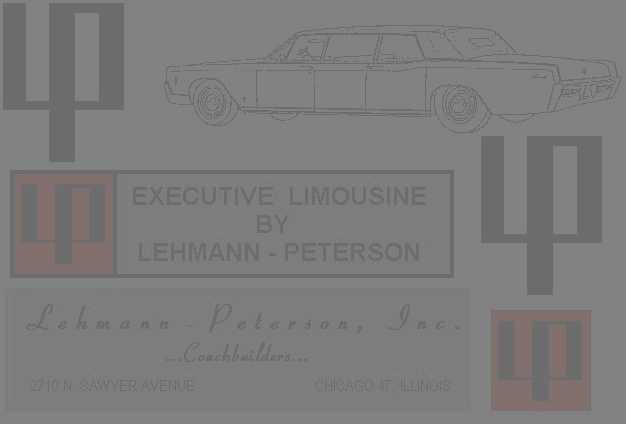 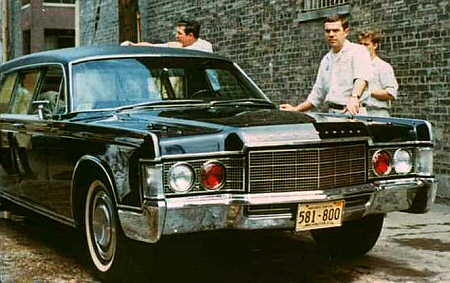 The Limousine being prepped for shipment from the Lehmann-Peterson shop. 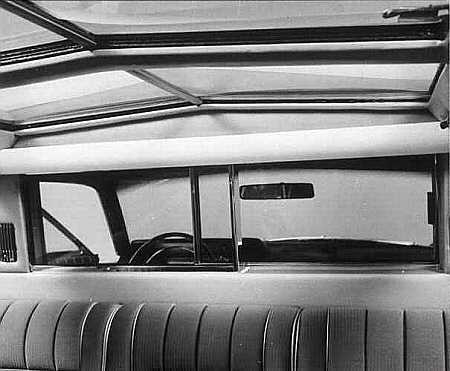 Many of the features on this car were later copied by Hess & Eisenhardt, specifically the retracting rear bumpers and hand grips, these were Peterson invention. 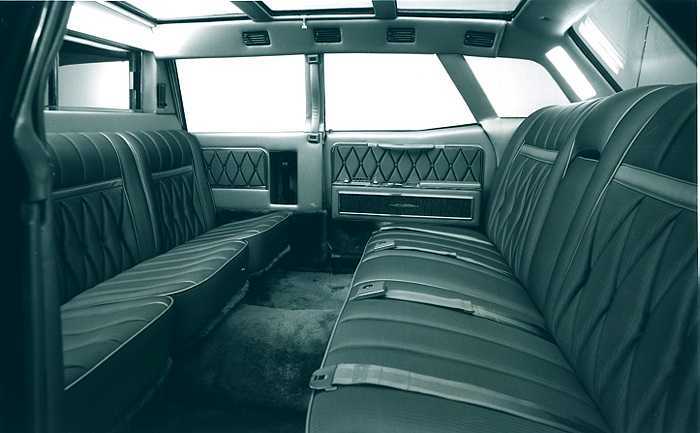 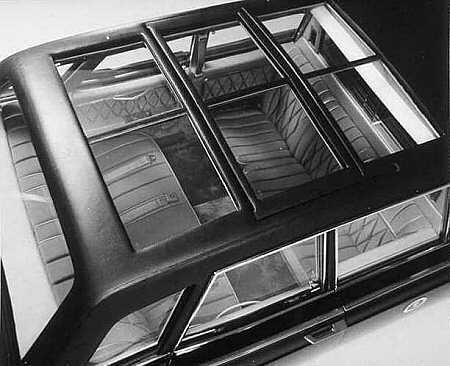 Inside picture from the rear seat looking forward, note that the partition is armor plated although the entire front compartment has no armor plating at all. 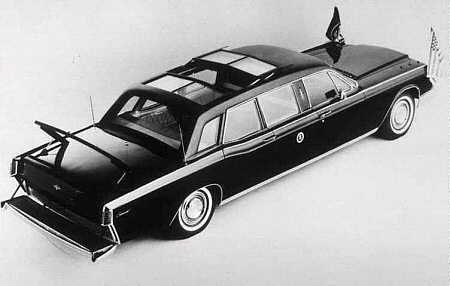 This possibly for weight and handling purposes. 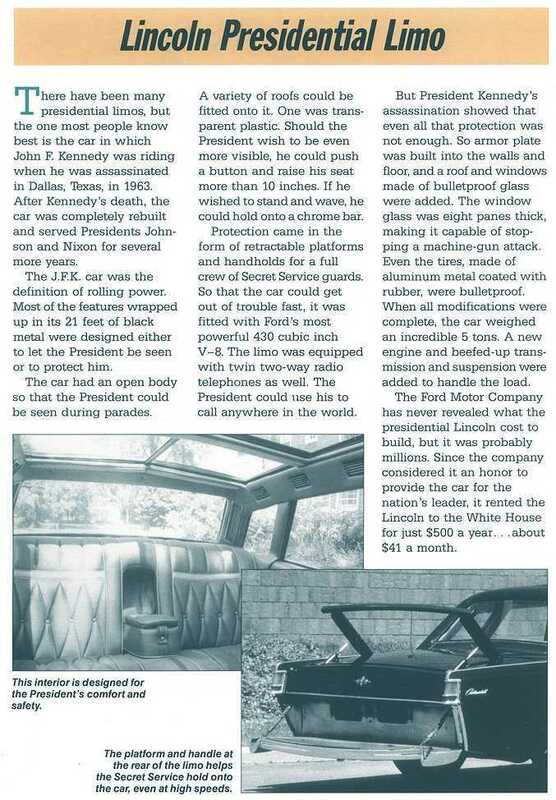 Peterson could never find out because all details on the construction were on a Secret Service "need to know" basis. 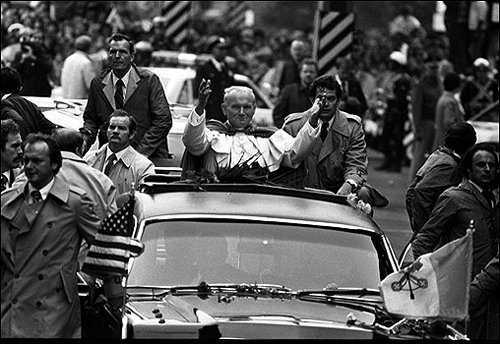 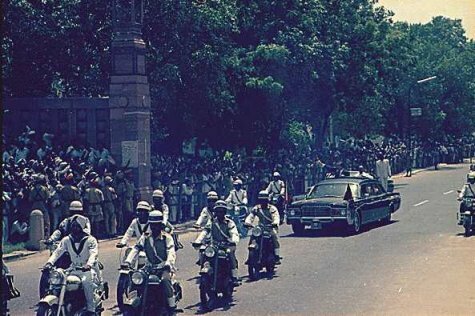 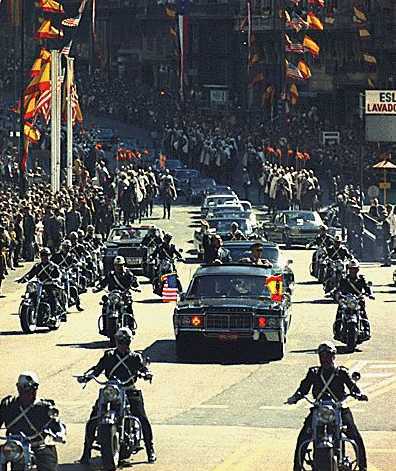 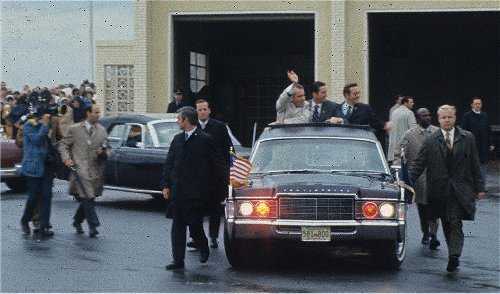 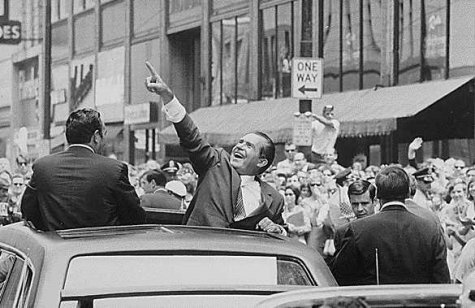 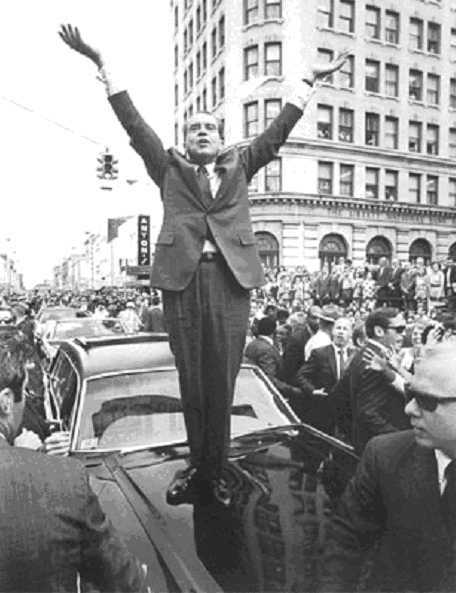 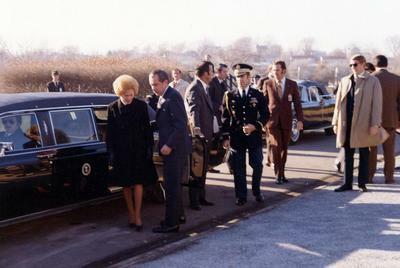 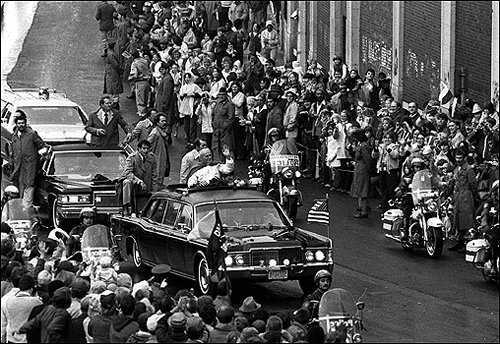 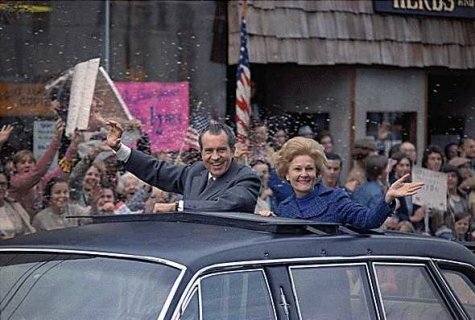 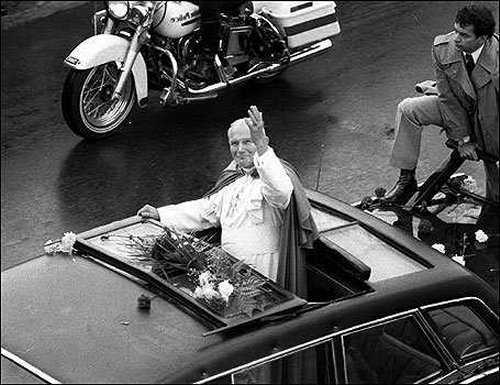 Nixon arriving at President Truman's funeral. 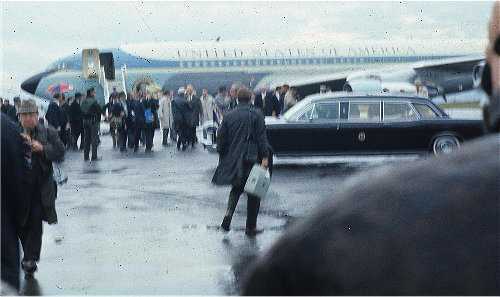 This from Ireland on their 12,000 mile European trip, October, 1970. 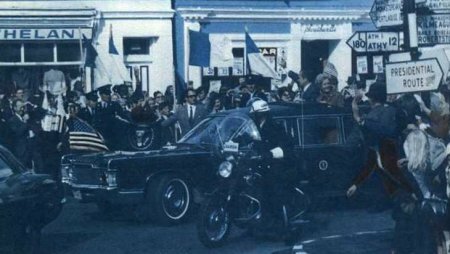 Thanks to Roberto Santa Cruz in Mexico City for this rare photo. 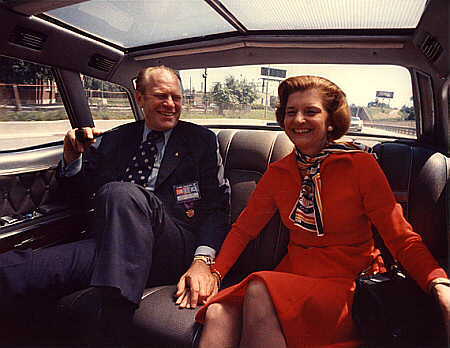 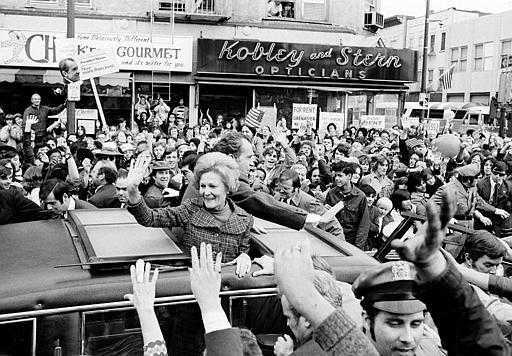 President Gerald Ford with First Lady Betty Ford in the Nixon Limousine. 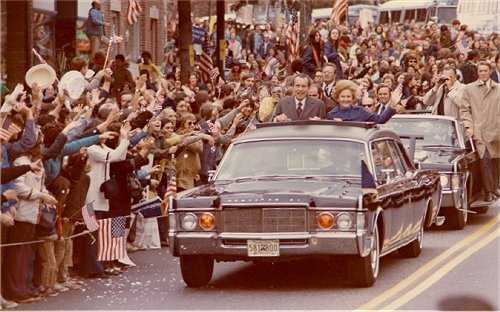 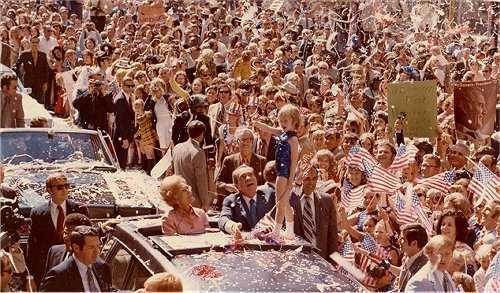 This is an official White House Photograph from August 1974.